This may be even worse than mmorpg:rebirth. I was excited when I first saw all the 5 star ratings on this novel when it first came out. The first few chapters were decent however, it quickly became another wish fullfillment story after. The MC's ingame name is Iron Bull, which is the same as the author's name. The MC is some poor sap martial arts expert, which apparently are extinct in this day and age, he gets looked down upon by everyone and is not able to find a job, his... more>> wife has been supporting him all this time. He complains all the time about how poor he is and wants to make money. He plays a class that rarely anyone plays and is considered to be trash just like how people think of him in real life, but it turns out that the class is OP. This is when the story takes a dive. He becomes one of the first to solo a tough boss and all of a sudden he thinks he's tough sh*t now, acting like some rich billionaire because he made a few thousand dollars by selling some low tier items to rich players that he goes giving away tens/hundreds of thousands of dollars worth of skill books and gear to people that he just met or to rude players trying to scam him. To top it off, apparently other classes innate skills has no effect on him such as stealth (thief/assassin), which is just stupid that they would not patch something that would pretty much make a class useless. MC can somehow "sense" invisible enemies, catch arrows with his bare hands, and can somehow dodge 100% of hits when confronted by a dozen or more players, what a joke. Note that we only 30 chapters in, who knows in 100 more chapters we'll see MC facing 1000 players by himself. Don't even get me started on his real life. To prove that the writer is just here to full fill his fantasy, the female tenants somehow always catches him working out and showing off his s*xy body and at one point he lets them touch his naked chest/body so they can "feel" his muscles. Apparently fit men are extinct in this novel aside from MC. This guy already has a wife whom has always supported him while all he does is work out and eat, what a ungrateful SOB. Seems like the MC will have a harem in real life or will cheat on his wife. One of the female tenants even stated she's a gold digger and wants a sugar daddy so she can laze around, so they aren't just some innocent virgins fawning over the first guy they see. Don't waste your time reading this, unless you really enjoyed mmorpg:rebirth. Chapters 1-10~ = Some poor guy that is trying to find a job to support his family and not have her wife do all the work. kill a boss with a ??? lvl when he was level 6, owned only beginner equipment and had one single skill. Did I also mention he was alone at that time. Simply ridiculous. Horrendously mega-overpowered MC playing a game and being absurdly better than everyone. It's competently written, and it doesn't violate its own rules, which is a huge plus. On the downside, that's about it. Nothing interesting has happened in a hundred chapters. Just him being OP and waving his big d*ck around. 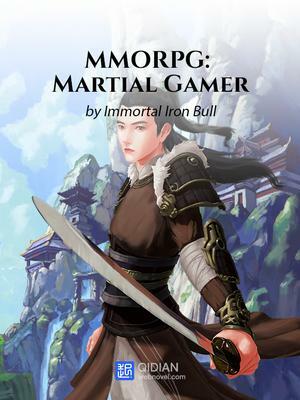 This is not a " Serious MMORPG world " But A COMEDY !!!! ... more>> This is a comedy about what " VRMMORPG Novel do "
If you want to have fun this one is pretty nice ! Normally I'm too lazy for reviews. Howe've this novel is one of the best I've seen, in terms of VR novels. This novel really implemebts real life elements into the VR world really well. The use of martial arts in the VR world of this novel is never before seen I'm others, plus with how others look down on the MC, there are many face-smacking scenes which is just fun too read. Unlike some famous VR novels where the MC is a DAMN DENSE SINGLE, the MC here has a wife and seeing their interaction, it's kinda sweet :)..
Getting unnecessary flak, if you don't take it too seriously and just enjoy the read it's not so bad. Him being so overpowered is just the nature of the story and setting, it doesn't make it bad, just one of those types of novels. here it came, , , the new gaming WN, really love this new series. The MC is frickin’ OP, because he’s basically undefeated master of martial arts eventhough he’s completely in the game. The independence control system in the game makes MC can give all his potential of martial artin it. Can’t wait for more chapters. 5 stars so far. MC is OP in both real life and VR. MC is a gaming noob. MC is upright, but his guildmates are not. MC keeps getting screwed by NPCs. I will be updating this review as the story goes on. Don't let the 1 star view fool you. Ironicly, one of them actually turn his brain off when he was rating a novel just based on several chapter which is barely enough to know whats this novel about what is not about. Yes, hes character in game, Iron Bull is OP, not because pugilist is hiddenly OP but because the player, the main character itself is OP. Yes, he 1v1 a Boss in early level, but thats because the Boss is the weakest type of Boss in Rebirth. There's 2 type of Boss (I think, correct me if I'm wrong). Traditional Boss, controlled by a low level AI which we have in our world, attack the player, use potion when HP is below 50%, agro the nearest player and so om. Then theres the 2nd type of Boss, the Independant Boss which has its own AI, it act on it's own, it will think when fighting rather than hack and slash, agroing the weakest player, dodging enemy attack and so on. They're the real deal. I can't remember if the first Boss is the independant Boss or not but one thing for sure is that it will become more challanging. No he won't become a harem king whatsoever (unfortunately, I kinda want him to have some kind of fanbase of his own like God of Weed but oh well), so he won't cheat his wife for those 3 girls that he's living with, for now at least in chapter 300. I can't say for sure he won't be seduced by a thot in chapter 400. And the guild he will join, one of the 1 star reviewer mention how they somehow able to keep up with our OP main character, is not your average joe guild, they have deep history making themself known in the Gaming History, they're the Expert among Expert so it's no surprise that they able to keep with our OP main character. It just show how ignorant those 1 star reviewer are, reviewing a novel without the neccesary research which required to know whats this novel is about. Tl:Dr, those 1 star review are so wrong in too many way. So sad people actually believe them. Give the novel a try, read it till 50. Trust me, it's worth it. It's somewhat cliche novel I guess but one thing for sure is that it's a good (cliche) novel. I have to say that this is the best and most favourite of all the gaming novels I've read ^_^ seriously can't get enough of this story. The fact that this also has a stable update is especially satisfying (2 chapters everyday basically). If you want action and humour, with a good amount of OPness in the characters mixed with martial arts and commonsense breaking, this is the story for you! From what I've seen so far, nothing has made me want to invest in the novel. For one, I don't like this type of blockhead OP MC who unconsciously do amazing things. What I hate the most about is that we have to sit through people reacting at how amazing the MC is and you could even add a little "you're a newbie?!" at the end for a little more spice. Quite frankly, I'm just tired of this whole trope of people getting amazed by the MC. The fact that the... more>> game is broken af does not help at all. 10 chapters in and the MC is already pretty much confirmed to be the strongest player in the game seeing how amazed the control panel was at seeing him solo a Boss. I figured there's probably not much else to see here since he's the strongest ingame anyway. While others praise the novel for having an MC that is actually already married, I don't really think it's all that special. Sure, it's quite a novelty that hasn't been seen yet in this genre but the novel doesn't really do anything special with it, or maybe it tried but failed anyway. The whole chapter shopping with the wife was quite honestly very painful and cringe-inducing. He's made money from the game and so he took out his wife to shopping without telling her that he finally has money. The poor wife was all worried the entire time since she didn't have much money to pay for them. I don't know what I was supposed to feel about this, should I have been "ohohoho, wait to be surprised girl!"? And some other things happened but basically this entire event was just disappointing. The conversations.... feel weird. It's something I've noticed in other similar novels. The people talking doesn't feel like they're adults, and by saying this I'm trying to insult their IQ. Every line has some kind of emotion added into it and it just makes the whole thing look ridiculous and exaggerated. It's like everyone has to shout and talk with exclamation points. I just skimmed through a chapter right now to see the number of exclamation points and I laughed at how I didn't notice it earlier. Now back at the whole game balance thing.... To be honest, a novel doesn't need sets of elegant and complicated rules and mechanics to be good, in fact most of the times that backfires because it can easily go wrong with the novel having too much info dump and the author being more prone to inconsistencies. However, that doesn't mean that the opposite is good. A braindead game by no means make the novel good, unless it was originally intended to be braindead in the first place. Otherwise, a game where there's a class that's labeled as basically useless is just a bad game. There's only 7 classes to choose from, they could've at least tried to make all 7 balanced. But of course I haven't really seen yet how much of a broken class it is yet since all I've seen was how amazing and cool and strong (cue kyaa have my babies) the MC is at it. Which brings me to my second point which is that the MC is stupidly strong. Not the first time I've seen an OP MC, but my gripe about it is that it's making it out like there's no other person who's as strong as the MC. He's so good at the game because what, he knows karate? It's like it's saying he's the only person who's practiced martial arts in the entire world, or at least the others that did were obviously nowhere as good as him since the game mods were speechless at how good he is. Basically, this is just bad writing that shows how hard the author is at trying to make his MC look cool. Now if there's one thing I want to praise this novel at, to the point where I would even be willing to rate it 2 stars just because of it, was that particular scene where the MC makes a joke at how fake the NPCs are, crying at one second and then laughing the next line. Now when have you ever seen an MMORPG Novel where the NPCs are not actually highly intelligent AIs that gets bullied by the players who think nothing more of them than just some cleverbots? I've always hated that trope and although this isn't really much of a big deal, I still appreciate it a lot. I don't hate OP characters but for some reason this novel didn't click to me. Well it might be due to the reason that this novel might also follow the cliche of the MMORPG OP Mc? Where the Mc's would start as OP in the game and breaking it's game balance? One hitting all of the field bosses or something along those lines, getting all of the hidden quests at just the start of the game add in the fact that he would also get those legendary items. This is ok, and was growing on me- but is now getting tiresome. It had quite a similarity to Legendary Moonlight Sculptor- though it's not a rip-off, more 'a similar world' mechanics and setup (though slightly inferior). The background and characters are slightly unusual- The MC is happilly married, and though there are rumblings of potential harem-ness, it's highly unlikely to happen. the characters are somewhat developing- but so far, it's a great deal of... more>> 'we're all jerks, but you like us anyway' as a story premise. Seriously- the author's gone out of their way to paint every affiliated character as selfish and/or reprehensible, and no one seems to care because 'they're nice to me' (I guess). The plotting is pretty good, with minor issues on things shoehorned in for convenience- but altogether entertaining so far. The MC has a likable personality, and is clever- though some of his clever 'crosses the line' when he's supposed to be a noob as well, but it doesn't really 'break' anything (since MC=OP already). I finally figured out why I keep reading this besides the 'why bother- it's average at best...' and the 'this bit is interesting- wonder where this will go...' imbalance- and it's the 'A plot', 'B, C, D... plot' imbalance. The 'A plot' (the main story abut the protag & his challenges) is pretty average and predictable- at times sub-par. Add to that the crap personalities and antics of most everyone around him, and this is a 'drop'- easily. The 'B plot' (& others) are also pretty average too- but there are enough of them, and they are somewhat interesting, and they fit in with the 'A plot' (more or less) in occasionally unexpected ways. This keeps things from being fully predictable- and surprisingly this is where most of the 'nice' characters are. Be warned though- this doesn't exactly elevate the whole- just serves pretty well as a curiosity feeder. I guess it kind of suggests the writer is better at writing soaps the VR fantasy. Speaking of the VR side- this 'game world' is supposedly a PVP server (as far as drama is concerned), but the story mechanics pretty much show the author only has a 'better than vague' idea of what that entails. It's PVP 'when convenient'- but otherwise the 'despicable characters guild' (Quan Zen sect) pretty much has free movement and is ignored by everyone (for reasons of story convenience & despite their universally being hated) till the writer feel like 'things should happen'. I guess to 'damn' the author for this when it's not uncommon for the genre would be excessive, but trust me- the list of 'liberties taken', 'luck awarded', and 'expertise excelled in' is pretty long (and effortlessly gained for the most part). Okay first, upon reading this just consider the MC as a side character because him alone makes the story suk, what makes this novel a good read is the comedy and antics of their whole guild when the MC joins the fray. It is good as a comedy adventure novel, guild mermbers are shameless in a humorous way, I recommend to read it until chapter 50 if you do not find it to be funny well cant be help. I've never been turned off so much by a novel so hard initially you think this would be something like moonlight sculptor but nah after he receives his initial batch of money that attitude swing was like dafuq? And really tho whats with the abs does nobody else have abs its kinda creepy. It mostly feels like the authors writing about his fantasies and pretty much unreadable even if you can turn off your brain but thats just imo. Well, I am one of those who read many, many novels and manga over the years. MC got a wife and their interaction is similar to real life interactions. "Girl Y admiring MC endlessly", "Girls X being jealous of girl Y". The MC has normal interactions with other players. Not just speaking to NPCs. like it's the usual norm in most other novels. It is really a fresh breeze after reading so many other novels. The downside here is for the time being that author is not that capable at portraying the MC as... more>> "powerful but dumb" (to make him not too OP). It's like mini-Superman tried VRMMORPG for the first time and wooow. Eh. This isn't a serious level-up-through-hardships type of vrnovel, but it isn't comedic either - at least for me. Idk where it stands. Feel free to read and judge it for yourself.